Scotland has exerted a considerable influence on the architectural heritage of Ulster. A handful of distinguished architects such as Sir William Chambers, James Hamilton and Robert Adam have left their individual mark, whilst numerous stylistic references can be seen throughout the country. 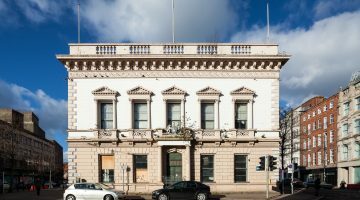 In the case of well-known buildings such as the former Ulster Bank on Waring Street (now the Merchant Hotel), not only was the designer of Scottish descent but so too were the principal building materials. The growth of Belfast as an industrial powerhouse allowed these links to flourish through trade and in the subsequent building boom the elevated architectural expectations of the wealthy industrialists had to be accommodated. One such industrialist was a Scots-born iron founder and linen manufacturer, James Combe, who, in the 1860s, employed the Edinburgh architect David Bryce to build a large stone house in a Scots Baronial manner, within extensive grounds on the eastern edge of the town, now suburban east Belfast. As one might expect it displays such typical architectural features as crow-stepped gables, stringcourses, gargoyles and a bartizan turret, ensuring that the owner must have felt very much at home. 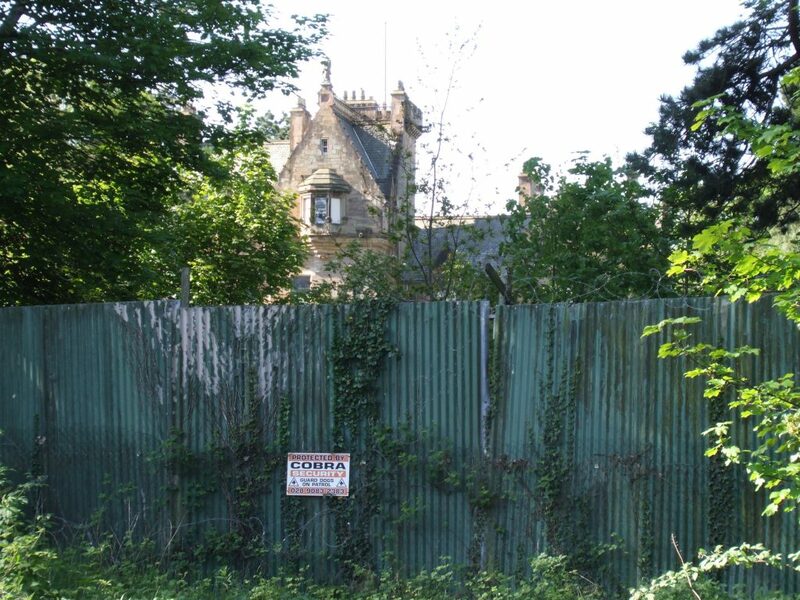 However, the creeping decline of this house, Ormiston, together with its outbuildings and east gate lodge, and what remains of the grounds, in many ways parallels that of the industrial city. Having passed from Combe into the hands of Edward Harland and then William Pirrie, it was eventually sold by Harland and Wolff in the late-1920s to nearby Campbell College, but has rested in central government ownership since the mid-1970s. Now vacant, the grounds are closed to the public and its future is uncertain. The building featured is highlighted in the Built Heritage at Risk Northern Ireland Catalogue, published by the Ulster Architectural Heritage Society in partnership with the Northern Ireland Environment Agency. This article featured in Perspective magazine, Volume 17, No. 6, November/December 2008.